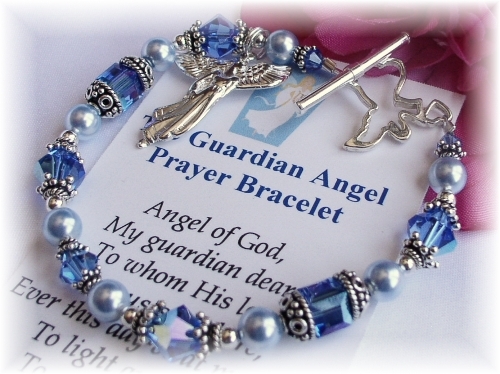 May the Guardian Angel�Bracelet, based on the well known prayer,�be a reminder of the presence of our constant heavenly companion. 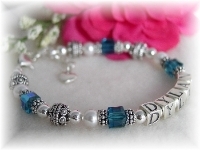 This beautiful bracelet is designed with sparkling Swarovski sapphire crystals and blue pearls, sterling silver spacer beads, Bali beadcaps and is completed with a stunning sterling silver angel charm (approx 1") and sterling angel toggle closure. A beautiful gift for someone special. 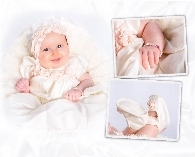 Includes gift card with Guardian Angel Prayer and gift box. 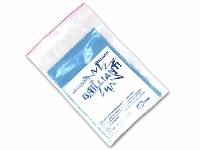 Please view our sizing chart for help in choosing the right size. Please keep in mind that these are only guidelines and the best way to assure a perfect fit is to measure per the provided instructions. Please note that due to availability of some Bali silver items, bead caps may vary slightly. Items will always be sterling silver and of equal or greater value than those shown in photo.